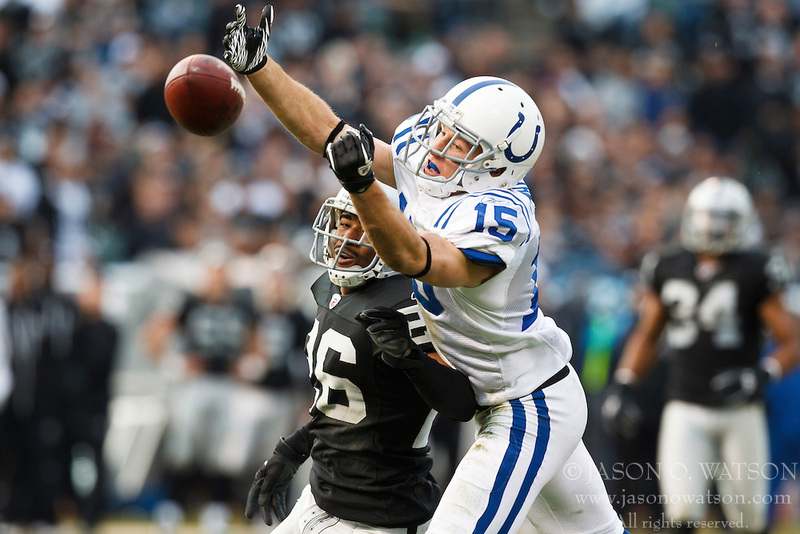 December 26, 2010; Oakland, CA, USA; Oakland Raiders cornerback Stanford Routt (26) breaks up a pass intended for Indianapolis Colts wide receiver Blair White (15) during the third quarter at Oakland-Alameda County Coliseum. Routt was called for pass interference on the play. Indianapolis defeated Oakland 31-26.